Schools, which depend most on property taxes in Ohio, have no say on partial abatements and took no position on the project. TJX is giving the Lordstown Local School District a one-time $500,000 donation for athletic facilities and security. The district will continue to collect one-quarter of the property taxes on the improved property - an amount that won't be solid until the facility is built and appraised - and a portion of the income tax through a tax sharing program with the village. In all, the district will receive about $400,000 a year in tax dollars over the next 10 years. The revenue to the school without the abatement would have been about $681,000 a year, said district Treasurer Mark Ferrara. TJX also plans to donate 100 acres so Lordstown can maintain a buffer between nearby residences and the warehouse. Given Trumbull County’s continued struggle over jobs, a protracted fight to stop the project may seem incongruous. But opponents called it the right project in the wrong place, arguing that nearby industrially zoned properties are a better option. They also raised a concern that echoed beyond the immediate neighborhood: How much will $12-an-hour jobs cost the community. The average warehouse worker’s salary in the U.S. is $31,451, according to the Department of Labor, with the range typically falling between $27,021 and $36,100. Indeed.com says warehouse workers average $11.92 in Ohio. He sees the TJX warehouse as part of a diversifying-Trumbull-County getting its feet. And he insisted the county is paying attention to the quality, not just quantity, of jobs. “If you’re going to have 200,000 people living here, you need to make sure there are jobs. So that’s always a measure. But you want to make sure those are good jobs,” he said. But she says she’s been “dismayed from Day 1” by parts of the project that seem to run counter to recommendations in the “Two Tomorrows” report published earlier this year by the Fund for Our Economic Future. “We have gone down the path of sprawl and incentivizing companies at whatever cost to build where ever,” she said. “We lose green space, we leave empty buildings everywhere, we create more infrastructure when we can’t support what we already have. In a recent Your Voice Ohio community meeting organized by local news media, residents echoed her concerns. To make Warren a better place, they said it needs more green space, less sprawl, better public transportation, jobs with livable wages and a plan to deal with empty buildings. 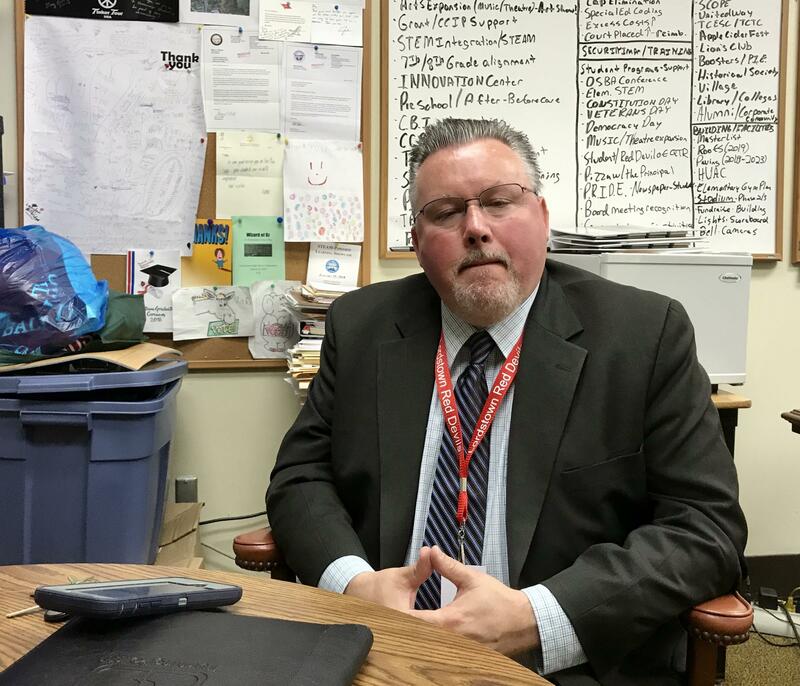 Lordstown Schools Superintendent Terry Armstrong grew up in the valley. 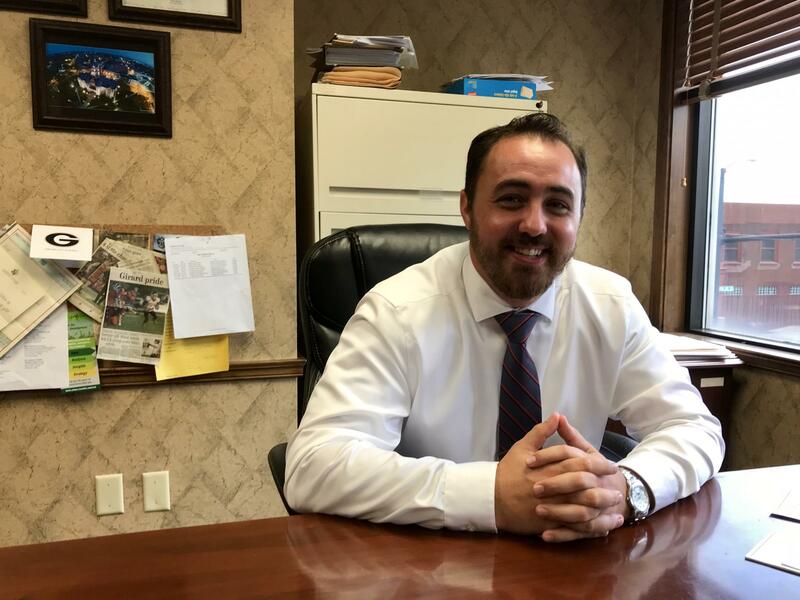 Terry Armstrong has considered the issues as a Trumbull County native whose grandfathers worked at Copperweld and Republic Steel, as a father whose children are starting to head off to college and as superintendent of Lordstown schools, who are giving up a lot of property taxes. He acknowledged the wages at TJX won’t compare with those paid in the halcyon days of manufacturing in the 1970s and ‘80s. But his hope is that the law of supply and demand may be starting to turn back in workers’ favor. “If you do an equivalent dollar-for-dollar analysis, it's definitely not what they were making. But it's jobs here in the valley," Armstrong said. "We hope a lot of employers keep coming in … because the more jobs there are [and] the less people you have able to work, it's going to raise their wages. So we're happy to have those jobs come in regardless of whether they're $12 or not. We hope they become higher-paying jobs because that just helps everybody." Regardless of the outcome, Tim Francisco, head of Youngstown State University’s Center for Working Class Studies, said the debate over TJX was an important one for the community to have. M.L. Schultze is a former editor, reporter and news director for WKSU public radio and the Canton Repository. She currently is a freelance writer and can be emailed. As a lifelong resident of Northeast Ohio now working with news media all over the state, the frequent trips through and around Columbus are both maddening and frightening. Lane shifts, orange barrels and concrete barriers coupled with overturned tankers can make a 20-mile cross-town trip a 90-minute nightmare.